Anti-wrinkle injections are commonly known as ‘Botox’. 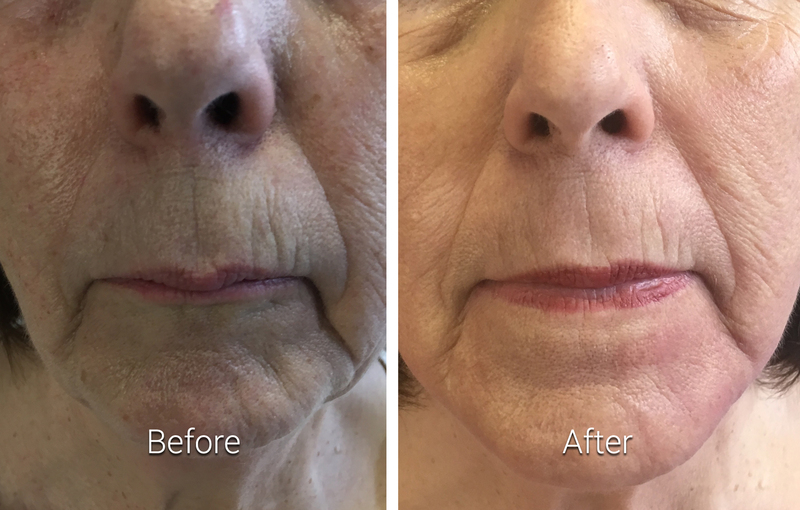 This is short for a Botulinum toxin, naturally occurring protein that blocks conducting messages between nerve endings and muscles causing muscles of the face to relax, consequently smoothing out wrinkles. Although the results may vary from person to person, in general the excellent effects of such a procedure make it the world most popular cosmetic treatment for the removal of wrinkles. Thousands of men and women receive anti-wrinkle injections in the UK every year. As the relaxed facial muscles stretch the skin the wrinkles are made less visible. The result is a natural, fresh and rejuvenated look. How long do the effects of an anti-wrinkle injection last? The results usually last for around 8-12 weeks, after which you may wish to return for another treatment. They are the treatment of choice for people who have forehead lines, frown lines or wrinkles around their eyes which they wish to reduce. The treatment will involve Dr Reid making a series of small injections into the muscles of your face. The injection process itself will only take several minutes. The procedure is largely pain free, with the exception of mild discomfort which is experienced due to the small needle injection involved. You may notice some soreness in the injection site directly after the treatment, but this should subside quickly. 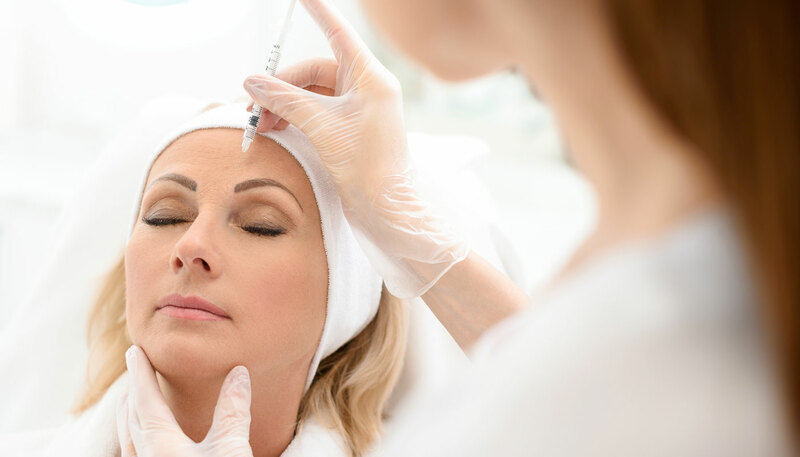 Botulinum toxin has been in medical use for more than four decades, and it is administered in such a way that it only affects your muscles and sweat glands – it does not reach any other part of the body. As long as it is administered by a qualified medical professional, the risks are extremely minimal. You can carry on with your day as normal, although we advise that you avoid strenuous activity/saunas/other facial treatments for up to 24 hours. What areas can I have injected? After 4-10 days you will notice an improvement in your lines/wrinkles, and this result will last approximately 8-12 weeks. Is Botulinum toxin the only option for people who want to get rid of their wrinkles? Not at all. In our clinic we also offer CO2RE laser resurfacing treatment which can be combined with anti-wrinkle injections. 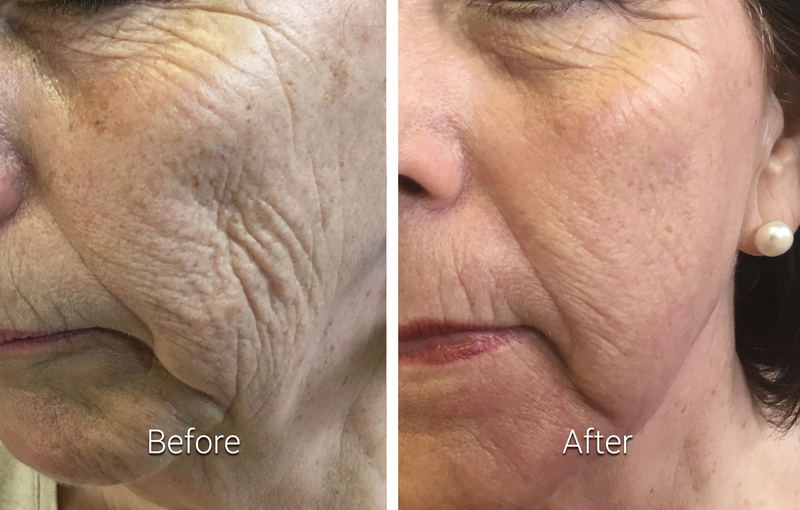 If you wish to have a combined treatment we would advise you first to have a consultation with Amanda who will asses your skin and give you a professional advice on the laser treatment you need for your skin type. Your skin would require one week recovery time following CO2RE laser treatment. Anti- wrinkle injections can be administered two weeks after the laser treatment.